Born in Fairborn, Ohio, and raised in Southern California, Turner originally intended to become a commercial artist. In elementary school he played the clarinet, followed by the alto sax and then the tenor in high school. He graduated from Berklee College of Music in 1990 before moving to New York. Turner worked at Tower Records in New York City for an extended period before working full time as a jazz musician. Mark Turner frequently collaborates with Kurt Rosenwinkel, Larry Grenadier, and Jeff Ballard, and has formed various collectives that include these musicians (M.T.B. and prominently, fly). He has also played with the influential Dave Holland Big Band. 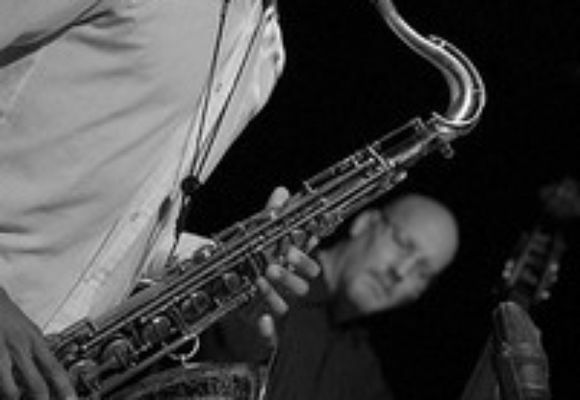 In 2003, Turner collaborated with fellow Lennie Tristano/Warne Marsh admirer, alto saxophonist Gary Foster, in a special concert billed as "Mark Turner and Friends".